Norwegian Book Clubs Recognize "Gilgamesh"
For Kings Only & the Name "Iraq"
(ZNDA: Los Angeles) Everyone knows that the Roman Colosseum is an architectural marvel. Built so that thousands of people could be ushered in and out in minutes, it is a testament to the genius of Roman engineering. Or is it? 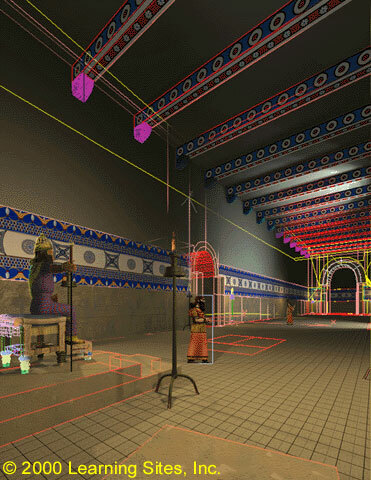 Samuel Paley, a classics professor at the State University at Buffalo, and members of the virtual reality lab there have worked with Learning Sites (www.learningsites.com), a design company based in Williamstown, Massachusetts , that specializes in archaeological visualizations, to produce virtual models of several Assyrian palaces. The simulations can be viewed on a supercomputer at the university's center for computational research. (ZNDA: Baghdad) On Sunday the Iraqi News Agency reported that two Assyrian relics stolen after the 1991 Persian Gulf war have been returned. They were discovered in a London antique shop. One of the pieces is part of the wall of the palace of the Assyrian King Sennacherib; the other is a stone relief stolen from the ancient city of Hatra in northern Iraq. Both pieces were handed over by British authorities. (ZNDA: London) Oil prices fell today (Monday) as Iraq announced that it would end its month-long sales embargo. The US light crude contract fell below $26 a barrel for the first time in over two weeks - almost a cent down from Friday's close. The Iraqi decision will add 2 million barrels a day to the world market of around 76 million barrels a day. Iraq introduced its sales ban in protest against Israeli incursions into Palestinian territory. Iran and Libya were the only countries to voice support for the decision but said their participation would be conditional on a blanket ban by all Muslim producers. Saudi Arabia, the world's biggest exporter, ruled out the use of oil as a political weapon in the conflict. A smaller quantity of oil is currently smuggled by the Kurdish transporters through the northern Iraqi region into Turkey. The ban had increased the "black market" price according to sources to Zinda Magazine. We wanted to know what a day in the life of an Assyrian studying Syriac in our homeland would be like, so we arranged to tag along with a friend we had made during our stay in Arbil, North Iraq. Yousip Kanna, a bright-eyed teenager at Ur High school, allowed us to follow him to school and see what a school day in our homeland was really like. Having hitched a ride to school using, coincidently, a mini-bus that had been paid for by the AAS-Australia, we arrived in time to see the students lined up for roll call. The school bell rang signalling the beginning of classes for the students of Arba'elo Shawraya (Primary) and Ur Misaya (Secondary) school, schools that conduct the entire curriculum in Syriac. 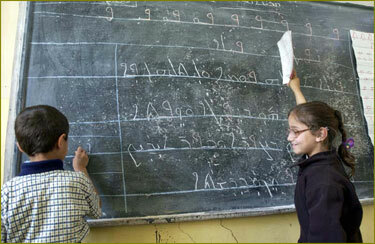 Due to the demand on government and the Assyrian Aid Society's resources, Ur, which consists of Years 7 and 8, has to share the school with Arba'elo Primary School. We had shown up unannounced and after politely introducing ourselves to the principal we turned down a guided tour that he had planned. We didn't want this to be a typical guided tour that was given to all visitors. We wanted a spontaneous look at what a day was like in a Syriac run school, teaching our Syriac language in North Iraq. Our only prerequisite was that the tour be spontaneous and we be given permission to attend classes of our own choosing. Our requests were duly granted and right after morning assembly we tagged along to our first class. (ZNDA: Modesto) Ex-President of the Assyrian American Civic Club, Mr. Ramin Odisho, recently sent another personal letter, fourth in a series, to club members. Odisho has been under investigation for more than two years by the Turlock Police Department, Stanislaus County district attorney's office and the California Department of Justice. Police detectives said the investigation was started after they received complaints of the mismanagement of funds at the club. Last year, the club's bingo permit was pulled after the investigation revealed the club did not have the proper state non-profit status to be conducting bingo games. In the latest letter, dated April 10, Odisho accuses the current club board of bouncing checks, misstating revenue, buying landscaping without proper club authorization and holding the annual Assyrian New Year's parade on the wrong day. Club members had no comment. Odisho served four years as the club president, but stepped down in January after club members rejected a proposed change to the club's charter that would have allowed him to run again. His previous letters -- also sent to club members -- have accused other members of illegalities and of trying to smear his name in public. 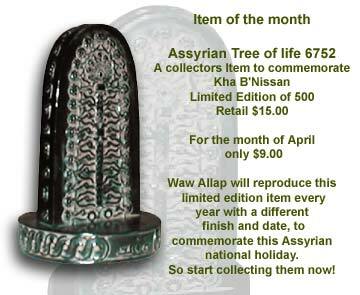 The Assyrian American Civic Club bills itself as the largest Assyrian club in the United States, with more than 1,200 members. According to sources to Zinda Magazine the contents of these letters and accusations made to current board members may by discussed at the upcoming Assyrian State Convention to be held in Turlock. The letters have become an endless source of hearsay and somewhat comic relief in an uneventful year for the Assyrian community in Turlock. (ZNDA: Sydney) The business career of entrepreneur and former head of Froggy.com Karl Suleman has come to an abrupt end after he consented to a life ban from managing a corporation. The New South Wales Supreme Court disqualified the once high-flying Mr Suleman for life after an application from the Australian Securities and Investments Commission. The director of enforcement at ASIC, Allen Turton, said he would have asked the court for the life ban but that had been made unnecessary, as Mr Suleman had consented to the decision. The Supreme Court declared that Mr Suleman and Karl Suleman Enterprizes Pty Ltd, which is under administration, operated a managed investment scheme which should have been registered. Suleman's Froggy Group was a high-profile mobile telephone and Internet business that expanded into retailing and construction. A securities and investment advice business was also carried on without the appropriate licences, the court declared. The court made permanent injunctions restraining Mr Suleman and Karl Suleman Enterprizes from operating the unregistered managed investment scheme, or any similar scheme, or carrying out a securities or investment business. Much of the attention on Mr Suleman centred on his links to the Assyrian community and his extravagant lifestyle. They offer a high rate of return, way above market rates. They also tend not to be mass-marketed and instead are often distributed through a close-knit community by word of mouth." Mr Suleman reportedly raised more than $130 million for his managed investment scheme. The application for damages has been adjourned until July 22, as has the case involving Mr Suleman's wife, Vivian. The Supreme Court has restrained the Sulemans from dealing in any of their assets. (ZNDA: New York) In an emotional tribute to the Seyfo Genocide of 1915 -- in which over one million Armenians, 750,000 Assyrians, and 300,000 Greeks perished in the hands of the Turkish troops -- New York Governor George E. Pataki presented his annual Armenian Genocide Proclamation to Lucy Derderian, a 102 year-old survivor, during an April 25th ceremony at his Manhattan offices. Speaking to an intimate gathering, Governor Pataki recalled the suffering of the Armenian people at the hands of the Ottoman Turkish government and called for recognizing the Genocide for what it was, "genocide." The Governor's powerfully worded proclamation stated that, "the Armenian Genocide of 1915-23 was an organized extermination campaign employed by the Ottoman Turkish authorities." The proclamation further noted that, "the final result of the Armenian Genocide of 1915-23 was the near extermination of the Armenian people, the loss of the majority of their ancestral lands and the dispersing into many areas of the world the scarred survivors of this extreme crime against people." Condemning the Turkish Government's denial of this great crime against humanity, the Governor's proclamation explained, "[this denial] is an abomination that occupies no proper place in debates carried out by New Yorkers, who represent some of the most intellectual and also the most morally certain people anywhere; as the movement toward full recognition of the Genocide follows its steady pace, every human being wanting to be counted as an Armenian Genocide recognition supporter can be considered a citizen of New York or an honorary citizen of New York." 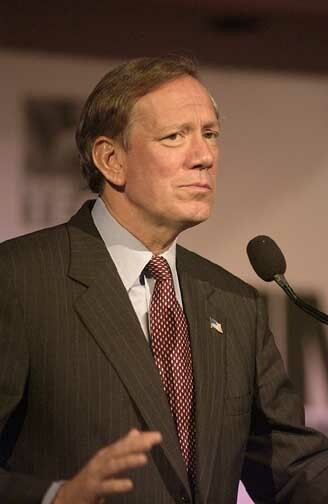 Governor Pataki made no mention of the Assyrians in his speech. Zinda Call For Action: Please take a moment to write to Governor George E. Pataki using the form at (http://161.11.3.75). Thank Governor Pataki for his courage to recognize the 1915 Genocide and bring to his attention the fact that two out of every three Assyrian lost their lives between 1915 and 1923 along with over one million Armenians and 300,000 Greeks. For "Subject of Your Email" use the topic "1915 Genocide". Please forward a copy of your letter to Zinda Magazine for publication in our next issue. (ZNDA: Oslo) The Norwegian Book Clubs have recently selected the 100 best works of fiction, alphabetically as determined by a vote among 100 noted writers from 54 countries. "The Epic of Gilgamesh" (1800 BC), considered world's oldest written story was among this list. The list was not ranked, rather provided in alphabetical order according to the name of the author. 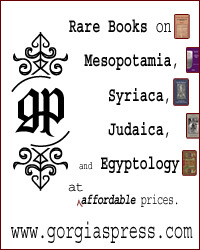 Other books included Miguel de Cervantes Saavedra's (1547-1616) "Don Quixote", Jane Austen's (1775-1817) "Pride and Prejudice"; Fyodor M. Dostoyevsky's (1821-1881) "Crime and Punishment," "The Idiot," "The Possessed" and "The Brothers Karamazov." 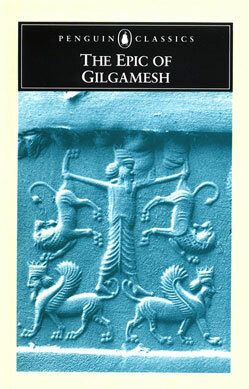 "The Epic of Gilgamesh" is a masterpiece of literature from Bet-Nahrian (Mesopotamia), describing the adventures of Gilgamesh, King of Uruk, in the pursuit of fame and immortality. According to the later version of the story the gods create a wild creature named Enkidu to challenge Gilgamesh. Gilgamesh confronts Enkidu in a fight, but later become friends. They begin a journey into unknown world in the west where they meet the evil monster, Humbaba, in the Cedar Forest. Enkidu slays Humbaba, an act which angers the gods. So they take his life. Enkidu's death saddens Gilgamesh and so he undertakes his greatest journey to seek eternal life. On his quest for eternal life he encounters many more adventures and meets Utnapishtim, the hero who had survived a flood. (ZNDA: Turlock) Baba G. Badal (27 Jan 1910 - 4 May 2002), 92, died of natural causes on Saturday at Emanuel Medical Center in Turlock, California. Mr. Badal was a native of Iran. He lived in Turlock 11 years. In Iran, he was a deacon at a church and a school teacher. He was a member of St. Thomas Assyrian Church. He is survived by his wife, Maral Badal of Turlock; children, Walter Badal, Joann David, Victor Badal and Elshua Babakhan, all of Turlock, and Ator Badal of Santa Clara; and 13 grandchildren and one great-grandchild. A funeral service will be at 11 a.m. Tuesday at St. Thomas Assyrian Church. Burial will be at Turlock Memorial Park. Private visitation. (ZNDA: Modesto) Shushan Babanejad (20 March 1907 - 28 April 2002), 95, of Modesto died of an extended illness Sunday at Doctors Medical Center. Mrs. Babanejad was a native of Urmia, Iran. She lived in Turlock since 1971, and also lived in the former Soviet Union. She was a homemaker. She was a member of the Assyrian Church of the East Mar Addai Parish of Turlock. She is survived by her children, Mary Danapour of Los Angeles, Sarah Morad of Turlock, Samreda Babanejad of San Francisco, Freda Badal of Sunnyvale, and Dr. Fred Adams and Hilda Papion, both of Modesto; sister, Valintine Bebla of Turlock; and 18 grandchildren and 11 great-grandchildren. 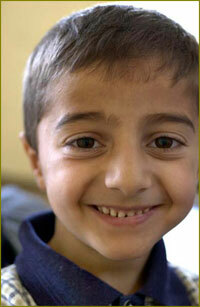 She was preceded in death by her son, Nicola Babanejad. A funeral was held at 10 a.m. last Friday at Assyrian Church of the East St. George Parish, Ceres. Burial was held at Turlock Memorial Park. (ZNDA: Turlock) Flora Shahbaz (10 October 1915 - 27 April 2002), 86, died of natural causes at Emanuel Medical Center in Turlock, California. Mrs. Shahbaz was a native of Urmia, Iran. She lived in Turlock since 1974. She was a homemaker. She was a member of Modesto Covenant Church. She was preceded in death by her daughter, Miriam Rustam, and a sister. Graveside services were held at Turlock Memorial Park. Allen Mortuary was in charge of arrangements. Ever yearn to experience the life of people in other cultures? How about trying the traditions of Sweden, Korea and Scotland? Savoring the exotic tastes of Thailand, Pakistan and Armenia? Listening to the music of Assyrian, Greece or Philippines? Those yearnings can now become a reality. The 12th Annual Skokie Festival of Cultures, which will take place on Saturday May 18, from 11 am to 9 pm, and on Sunday, May 19, from 11 am to 7 pm, promises all that and more to an expected 27,000 attendees. The Festival, to be held at Oakton Park, 4701 Oakton in Skokie, is a FREE event. The "journey" begins when you receive a "Passport to the World," the official guide to all festival happenings. The passport includes performance schedules for the two showcase stages (an ethnic performance every hour), exciting information on ethnic and cultural traditions and a festival map. Passports will be stamped at the end of the tour offering a keepsake of the event. Take your taste buds on a trip around the world with culinary delights that include Thai Vegetable Fried Rice, Oriental Sweet and Sour Chicken, Mexican Tacos and Burritos, delicious Greek Beef and Chicken Gyros, and, of course, the good old American favorite, Hot Dogs. The two World Showcase Stages will highlight a variety of the world of cultures for spectators who can watch performers, such as the Assyrian Dance, the Greek Orpheus Dance Troupe. We have been informed of a full-time employment opportunity for 6-9 months for junior or senior engineering students. 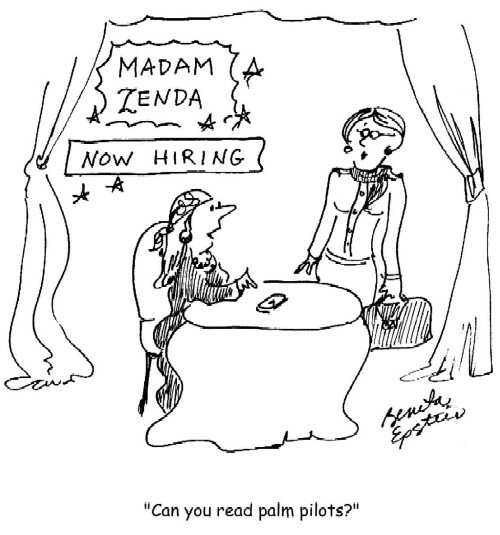 Job involves working with engineering teams developing new products in a high-technology firm. This is an excellent opportunity for MEs, EEs, and IEs. Job requires strong organizational, interpersonal, and communication skills; and a good knowledge of common SW packages used in engineering and business management environments. Knowledge of CAD is a plus. According to Robert Chambers' "The Book of Days," published in 1864, servants shielded Assyrian kings from the elements with umbrellas. The umbrellas were reserved for the monarch and have never been represented as borne over any other person. The modern state called Iraq is a British creation. Before the First World War, the fertile triangle around the rivers Tigris and Euphrates was simply three provinces in the Ottoman (Turkish) empire, and was known in Europe as Mesopotamia (Assyrian Bet-Nahrain). When the Ottoman Empire entered the war on the German side in 1914, Britain sensed a threat to its interests in the region - British trading companies already dominated local commerce - and quickly landed troops on the coast several hundred miles south of Baghdad. After a protracted campaign, the British finally captured all of Mesopotamia by late 1918. Two years later, the League of Nations declared the territory a British mandate: in effect a colony, occupied by British troops and largely administered by British officials as a single entity called Iraq , with independence promised in the long term. Hotel Rossiya (about 2 blocks from the Kremlin). Per day costs are given in US dollars at the conference rate, include breakfast, and are as follows: Single room: $50, Double room: $70. Registration for the Two-day Conference (per person): $20, Tickets to the Bolshoi Theatre: $50, Banquet: $50 .